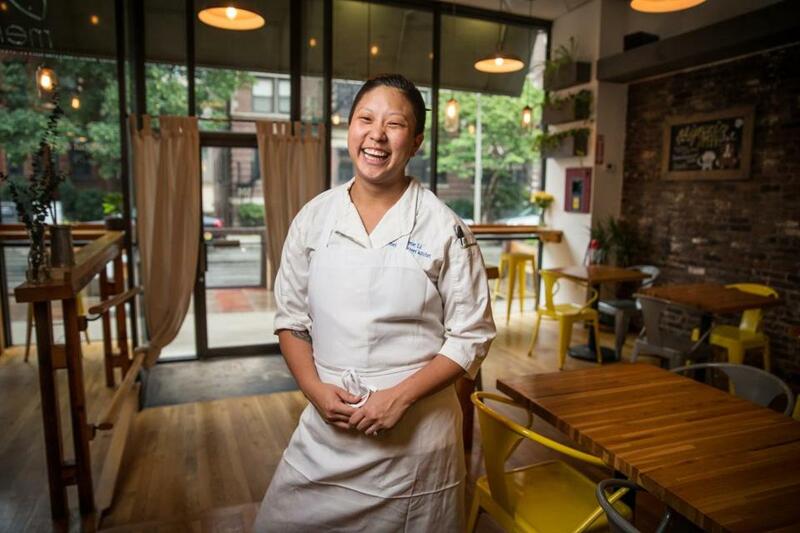 “We might see tipping going away or being adapted,” Irene Li, chef-owner of Mei Mei. Every January, we ask restaurant-industry insiders to look into their crystal balls and predict what trends we’ll be seeing in the world of food over the next 12 months. Usually they say something like “sake bars” or “nutritional yeast” or “old-school French fare” or “the resurgence of large plates” — all (or none) of which may in fact be the case in 2018. There are a few replies in that mold, as you’ll see. But this year’s answers reveal that perhaps even more than how food tastes and what gets put on the plate, people are thinking about how the industry operates, how it can overcome challenges, and how it can change for the better. This year’s thinking is about foundations over flavors. What’s on the horizon for restaurants in 2018? Read on for this year’s predictions. Restaurants will be more family-friendly. When Baerkahn lived in Brooklyn, 5-7 p.m. was family time at all kinds of local restaurants, from takeout joints to upscale bistros. “We are starting to see that more in Boston,” he says. “Operators are getting more comfortable with that.” This year, he predicts, restaurateurs will increasingly continue to take families into account — not compromising the integrity of the product, but perhaps finding ways to present it that are simpler but still interesting. There will be more commissaries, and they will have cafes. Commissaries, the production kitchens used by food trucks and the like, will be in increasing demand as businesses open in smaller spaces (think food-hall stalls) and spawn multiple locations. “There are going to be more commissaries, and the majority we’re going to see opening will havepublic-facing elements to them,” Baerkahn says. Retro will be redefined. Prepare to feel old. Nostalgia has long been a popular look in restaurant decor — from speakeasies to ’60s style. Now, says Diskin, “retro is being done in a different way.” And that means different decades, from the ’70s basement vibe she created at Capo in South Boston and beyond. “I definitely see more ’80s and ’90s,” she says, “whether it’s the music being played or the artwork on the walls.” You might find Nirvana on the playlist, Nintendo at the bar. The future will be customized. Open kitchens have become standard, and chefs want them to stand out. Rather than buying grills, oyster bars, and other equipment from manufacturers, Diskin predicts, more people will work with custom builders to get things exactly the way they want them. For instance, Gardner-based company Blue Barn has built elements for La Brasa, Loco Taqueria, Steel & Rye, Sulmona, and other local outfits. “It gives the chefs a new toy to customize to their cooking and what they’re trying to achieve with their menus,” she says. Fast-casual and multiuse concepts will continue to explode. Higher-end, big-name chefs will continue to open quick-service, casual spots (see, for instance, Jody Adams and Saloniki). And restaurants will increasingly serve more than one purpose — incorporating entertainment such as live music and video arcades, and shifting focus throughout the day, from morning bakery-cafe to casual lunch spot to more-formal restaurant/bar at night. There will be a T-shirt and you will buy it. As Instagram continues to be a driving force in restaurant marketing, more restaurateurs are thinking about what Diskin calls “the fashion element” of restaurant design. “They’re figuring out more creative, unique ways to have staff have a cohesive look. And it’s such an old-school marketing tactic, but they’re getting the swag out there.” Think custom hats, tees, sweatbands, and more. Don’t forget to post a photo of yourself with the restaurant’s logo prominently displayed. Working conditions will improve. “Restaurant owners are going to be looking to do better by their staff, and restaurant workers are going to start asking for more,” Li says. Last year, sexual harassment and abuse within the industry came to light as stories broke about high-profile chefs like Mario Batali and John Besh. There has been ongoing discussion of tipping and how it should work, or whether it should exist at all. “We’re going to be looking at things like offering health care, incentives, and higher wages across the board,” Li says. “We might see tipping going away or being adapted.” At Mei Mei, they’ve launched money-saving, profit-sharing initiatives, opening the books to the staff. “There’s going to be a lot more conversation.” And that will include talking about the culture of the industry as a whole. International flavors will proliferate. “I think Middle Eastern food is still not in the forefront of our city and we’re going to start seeing a lot more really great Lebanese food, a lot more Israeli-inspired food.” He also expects Filipino food, as well as Malaysian, regional Indian, mom-and-pop-style Peruvian, and izakaya fare. “Street food is going to continue to shine in every way and form from different cultures because people are looking for something affordable and flavorful,” he says. 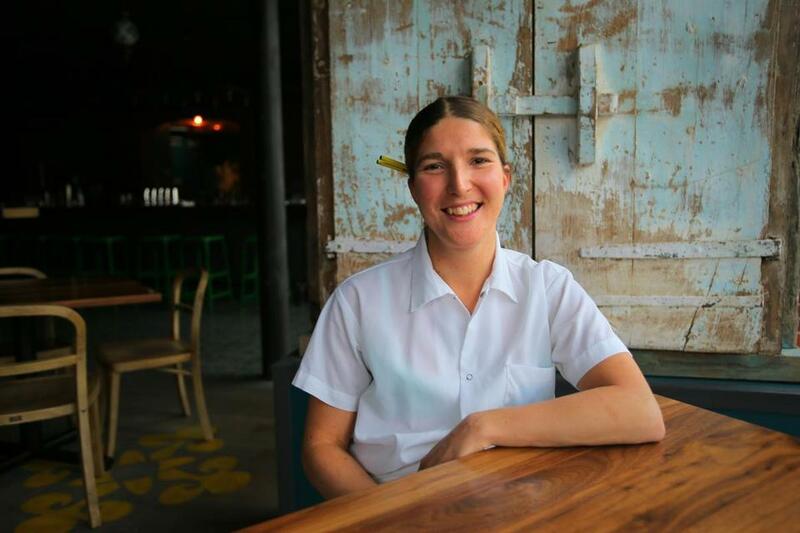 “I’ve never seen so many people request food with no salt since I’ve been cooking,” Cassie Piuma, chef-owner of Sarma. The experience will be front and center. Bartenders want to tell you how they make their drinks and what goes into them. But that’s not what bar-going is really about, says Samdo. “We go out for the experience. When you go out, try to cherish that moment. Every moment is accountable. At the end of the day, it is not about how you make the prettiest drink or what scientific technique or bizarre technology you use.” Rather, it is about personality, interaction, showmanship, and creativity, says Samdo, who built a program based on altitude, with every cocktail inspired by an endangered species. Increasingly, bars will focus on these things. Bars will go greener. Americans throw away 500 million plastic straws a day, according to a commonly cited figure. Samdo doesn’t buy them anymore — he uses ones made from biodegradable cornstarch, metal, bamboo, and the like at Cafe ArtScience. They look beautiful, he saves money, and it’s good for the environment. Bartenders need to think more about how to operate sustainably, he says. Restaurants will close. “The over-supply of new restaurants will increase competition with established locations and the result could be a rash of closings and turnovers.” New restaurants are stealing the thunder of places that have been around for a long time. New operators are also entering into deals wherein it’s hard to make the numbers add up. Some big restaurants that opened in 2017 will suffer as their start-up rent deals expire. This can be $10,000 more a month after first-year rent concessions disappear. Everyone will work harder for less! “I don’t know anybody who’s done exceedingly well in 2017,” Staub says. “The public demands it [healthy food], it goes back to us, and it becomes a circle of health,” says Douglass Williams, chef-owner of Mida.